Your company’s financial summary for shareholders, donors and members may be the most important marketing piece you produce. 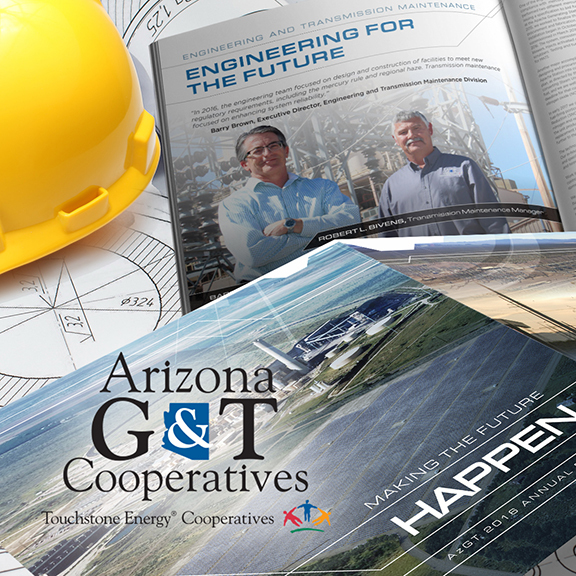 From creative design concepts, clear graphics, fine papers, and stunning photography, an annual report can be a showcase marketing tool as well as a document highlighting your year’s success. Let Cirrus help with the successful planning, detailed design, informational content and expert execution that makes the difference in presenting your fiscal results to the public. Our experience and processes can help guide the way. Step 1: Research - Your consultation and research start with meeting your team to understand the vision of your Executives and Board. We collect data, imagery and content to build a cohesive document. Step 2: Initial Concepts – After interpreting the vision of your Annual Report, we create an initial look and feel for your document. This focuses the design strategy and production direction for your report, including layout, typography, color, images and finishing services. Step 3: Concept Refinement and Initial Application – Feedback from the initial conceptual stage helps us refine and develop preferred direction for the preliminary look and feel. In this stage, we apply your copy content, statistical charts and photo images to the overall design for formatting and spacing. Step 5: Final Preparation and Production – The creative and content approved, your annual report is finished in a press-ready format and sent to our production team to print. The final report may utilize both unique papers and specialized finishing processes that set it apart. If on-line is the best way to your audience, we can create a digital annual report for your website. We can incorporate animation and digital content as well. Included here are some impressive examples of our team’s work with our clients.